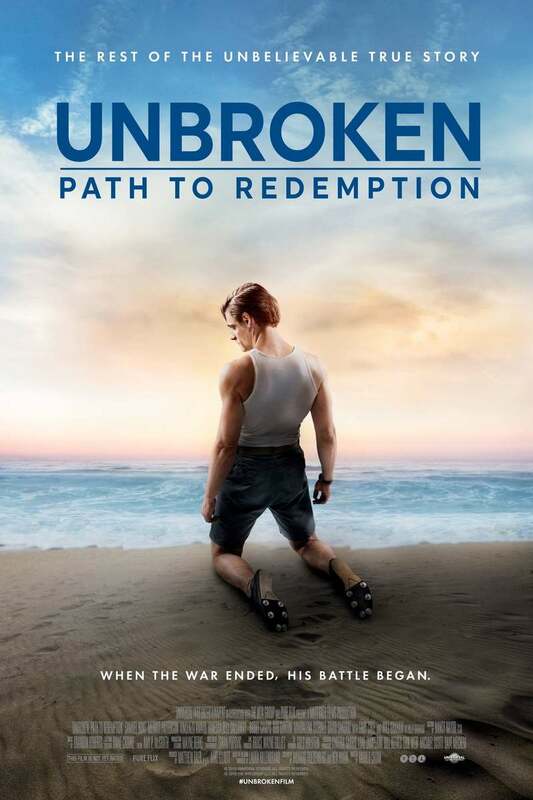 Unbroken: Path to Redemption DVD and Blu-ray release date was set for December 11, 2018 and available on Digital HD from Amazon Video and iTunes on November 27, 2018. When Louis Zamperini's plane crashed into the Pacific Ocean, his life changed forever. As a former Olympian, he was accustomed to physical challenges-but staying afloat for several weeks and then enduring brutal beatings from the Japanese was traumatic. After his rescue, he returns to the United States and is celebrated as a hero. But he struggles with his inner demons, quickly discovering that these may be more challenging to overcome than what he faced in Japan.